On January 23, Air India and BEST-A emerged victorious in the 28th Senior Mumbai District Carrom Championship’s Division-A and Division-B Finals respectively. The Air India defeated Jain ISL 3-0 to become the Division-A champions whereas BEST-A defeated RBI 2-1 to emerge victorious in the Division-B finals. Air India’s Zaid Ahmed won 21-10, 16-11 against Jain ISL’s Yogesh Dhongde in the first match of the tie. 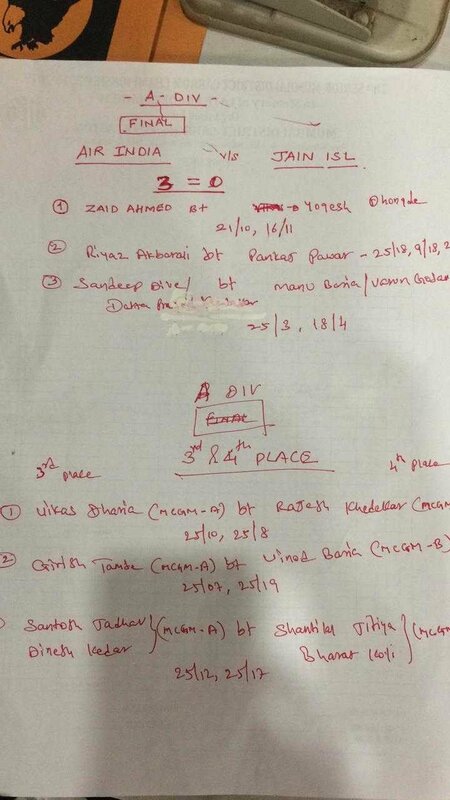 Later, Riyaz Akbar Ali beat Pankaj Pawar 25-18, 9-18, 25-18 to win the second fixture and eventually, the doubles team of Air India managed to seal the game for their team by beating the opposition by 25-3, 18-4. In the meantime, BEST-A’s Nilesh Parab was defeated 12-7, 25-18 by RBI’s Prashant More. However, Mangal Bhalerao managed to score a point for BEST as he defeated Hidayat Ansari 22-15, 25-17 to set the scores level. As the deciding doubles match happened, BEST’s Sandeep Jogale and Ankush Gaikwad beat Mahesh Kuperkar and Ajay Ambre from RBI in a close 25-10, 15-25, 25-18 encounter. 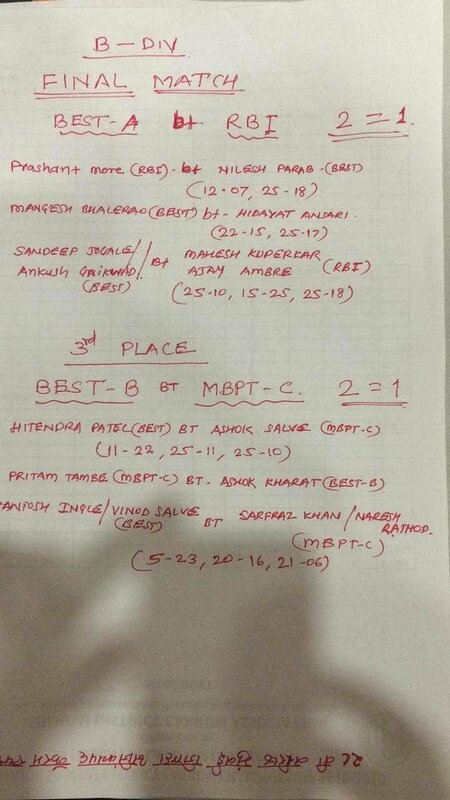 Later in the game, BEST-B managed to secure the third place as they beat MBPT-C in the Division-B 3rd Place match. Alongside, MCGM-A beat MCGM-B to secure the third place in the Division-A 3rd Place match.